How Much Bandwidth Do You Need for Your VoIP Business Phone? If you’re switching from a traditional phone system to a VoIP business phone service, there are several things you’ll want to consider beforehand in order to enjoy the best call quality and the most reliable service. One of these factors is ensuring that you have adequate internet bandwidth to support your new phone system. If you’re not familiar with the concept of internet bandwidth (much less know how to calculate the amount of bandwidth you need) then this guide is for you. In this article, we’ll cover the basics about bandwidth and help you determine how much bandwidth is necessary to get the most out of your VoIP business phone. Bandwidth refers to the rate at which data is sent or transferred over a wireless or wired connection. To understand the concept better, think of it in terms of plumbing. Bandwidth is similar to the width of the pipe that carries the water (data). The bigger the pipe or the greater its width, the larger the amount of water (in this example, data) can flow through it in a given amount of time. In other words, if you want to ensure that things run smoothly, make sure to have an internet service (also referenced as an ISP) that offers you enough bandwidth to manage your VoIP calls. VoIP phone systems route phone calls over the internet, which is the reason why you are able to make calls at a fraction of the cost of traditional landlines. Because VoIP phones rely on your internet service, you’ll want to choose an internet service that offers larger (in this case, a sufficient amount) amount of bandwidth. Otherwise, you may suffer from poor call quality and experience issues such as delay, jitter, or even dropped calls. The bandwidth you need for your VoIP phone ultimately depends on the volume of calls you expect to make and receive. It’s best to consider your peak call volume and check whether your internet service can support you even during your busiest hours. What’s the maximum number of simultaneous calls your company could have? 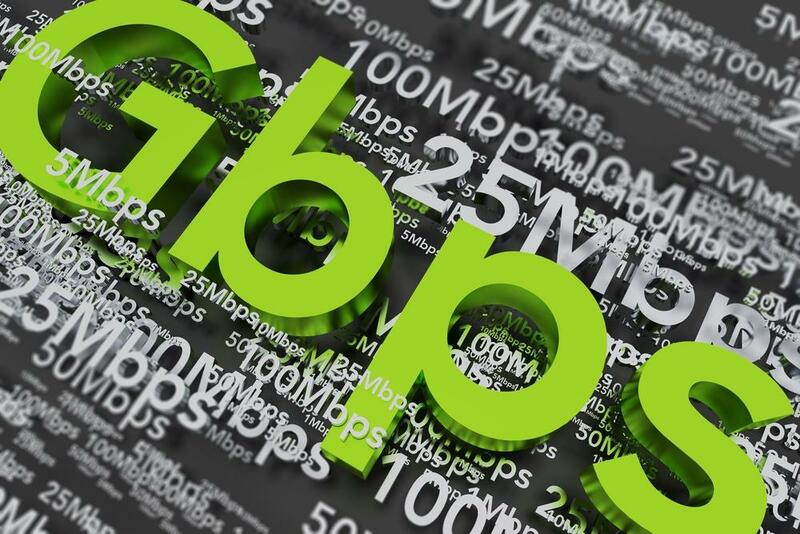 What are the upload and download speeds delivered by your service provider? You can use VoipReview.org’s Speed Test tool to determine what speeds you’re currently getting. What are other applications does your company use, and how much bandwidth do they consume? Furthermore, it’s important to consider your other online activities. Web browsing and email won’t have much impact, but video calls, streaming, and transferring large files may consume anywhere from 3-20 times the bandwidth requirement of an audio call. So it’s important that you take these into account for your estimate.